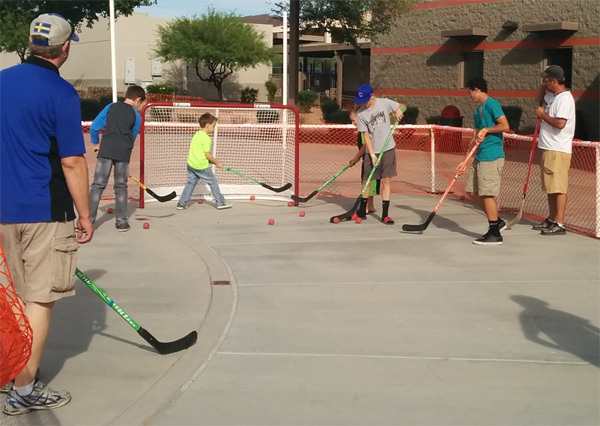 Desert Hockey Development had the new portable rink up and running for the first time at a school carnival at Norterra Canyon School on Saturday, April 9, 2016. 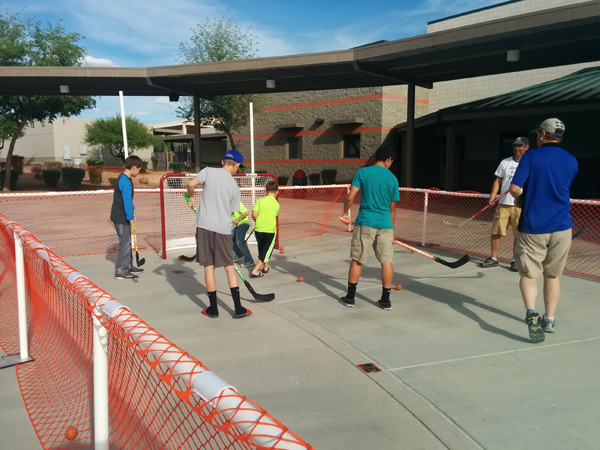 Over fifty kids joined DHD throught the afternoon and evening to basically mess around with some ball hockey to get the feel for how to use a hockey stick and to have some fun. 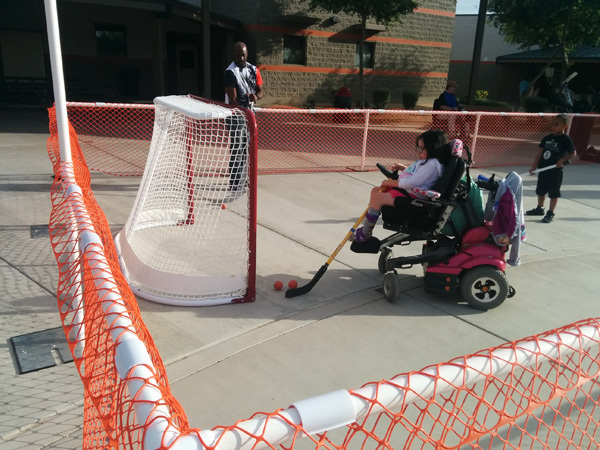 This sort of event is something DHD is looking to attend more often, we just want to get hockey sticks into the hands of kids that otherwise, for whatever reason, probably wouldn’t have had the opportunity to do so. 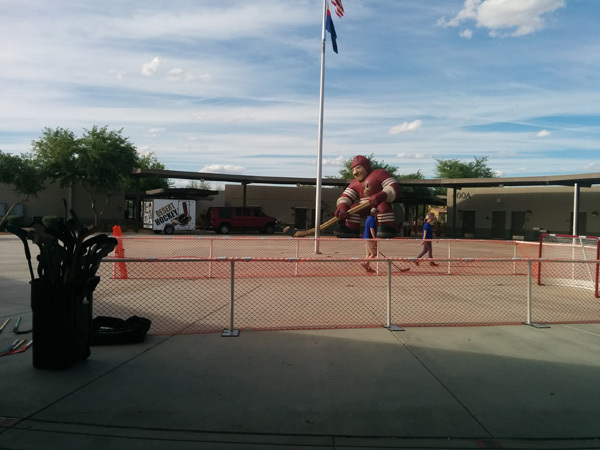 While the Norterra Canyon School is in an affluent area of Phoenix, DHD will happily travel to any event of this nature if it can fit the schedule. 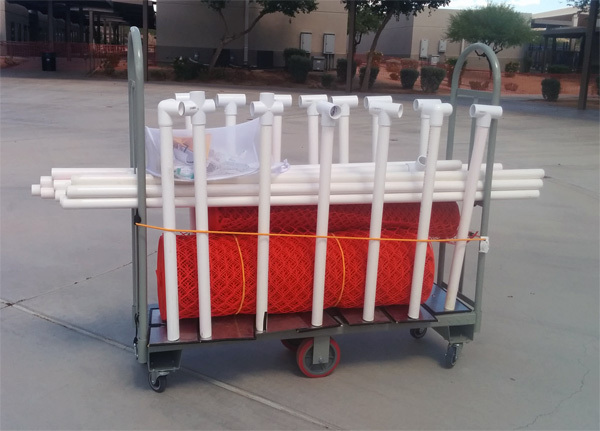 If you are involved in event planning for school carnivals, block parties, gatherings of a nature where there would be enough kids in attendance that fifty or so kids would end up joining us for some hockey, we’d love to hear from you. Use the contact page to find out how to get us using the communication type of your choice. DHD would like to thank the kids and parents of Norterra Canyon that dropped in to play some hockey with us, we hope to see you again!